Dream, Create, Inspire: Happy Belated Birthday! 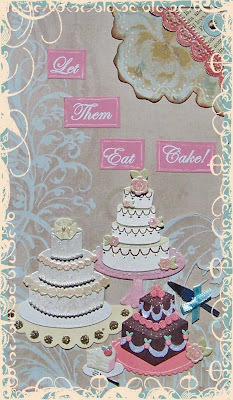 Yesterday (November 2, 1755) was Marie Antoinette's Birthday and sweet blogger Joy from Cupid's Charm hosted a birthday soiree in honor of the Queen's special day. With all the commotion of water flooding my house, it completely slipped my mind to post my pic. I hope you all will forgive me for being a little late. And if you want to treat yourself to lots of yummy and luscious eye candy, go on over to Joy's blog where she has a list with links to all the party participants! Happy Birthday Marie!!! Ahhh--let them eat cake! Ummm, birthday cake! oh how fun, sorry I missed it!